Our beautiful state-of-the-art facility has three large spaces with natural light in every studio with ample parking. 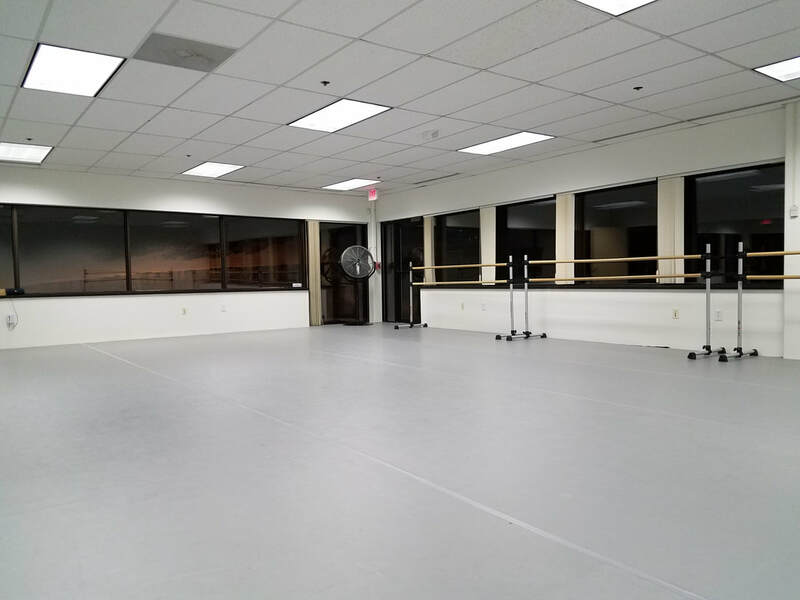 The sprung floors in are perfect for rehearsing all types of fitness and dance. Please note that STREET SHOES ARE NOT ALLOWED IN STUDIOS B or C AT ANY TIME. 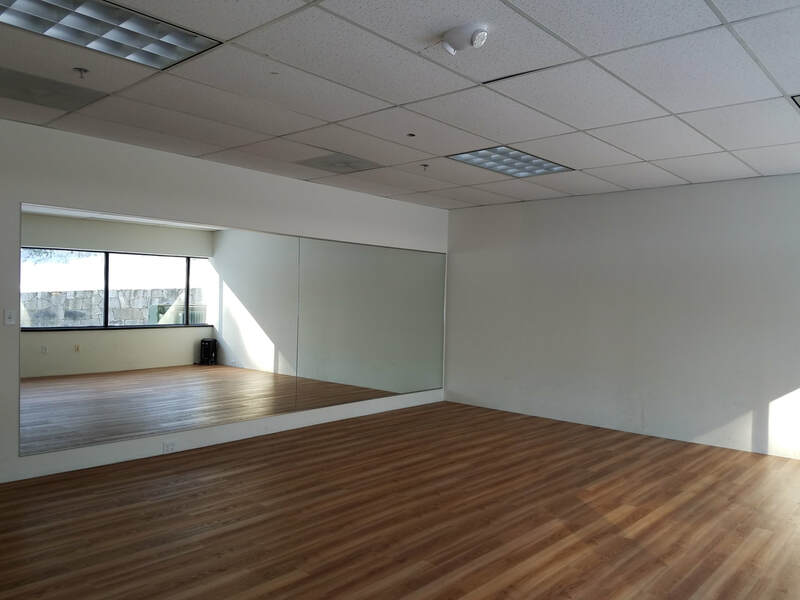 Studio C may be used for parties and events as street shoes may be worn and food is allowed in this studio only. 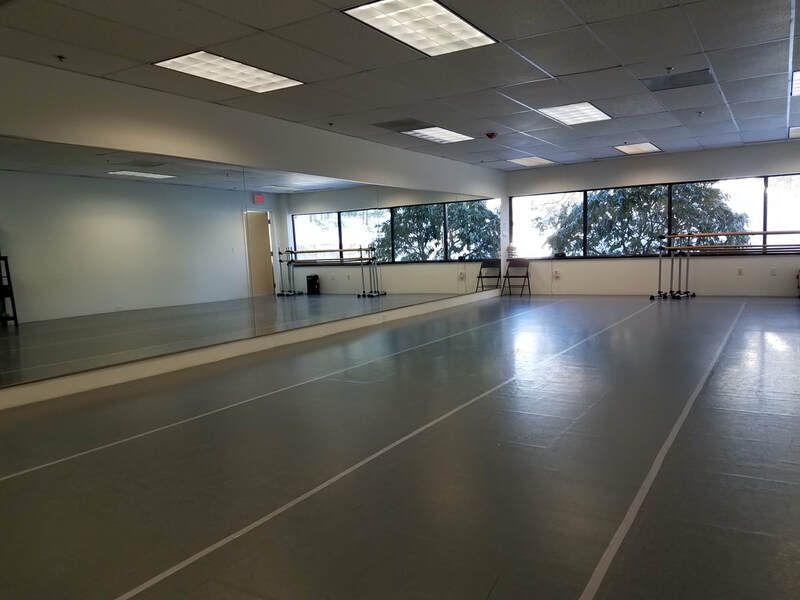 Studios can be rented during regular studio hours, or off hours by arrangement. Studios can also be rented off-hours. Please call for availability and pricing. All events are charged on a per hour basis and require a $50 security deposit. You are responsible for set up and clean up unless prior arrangements are made. You MUST add time before and after your event for set up and clean up regardless of who is responsible for these. Rental fee and deposit must be paid for in full before the event. If the studio is not left in pre-event condition, you will forfeit the return of this deposit.